Among the greatest concerns of Florida homeowners is mold. For some, mold can cause allergic reactions including irritation of the eyes, nose, throat, lungs and skin. Mold can also leave permanent stains on drywall, ceiling tiles, carpets and other surfaces and it is often accompanied by a persistent, musty smell. Understanding more about how mold grows can be helpful in preventing the destruction and illness it can cause in your home. 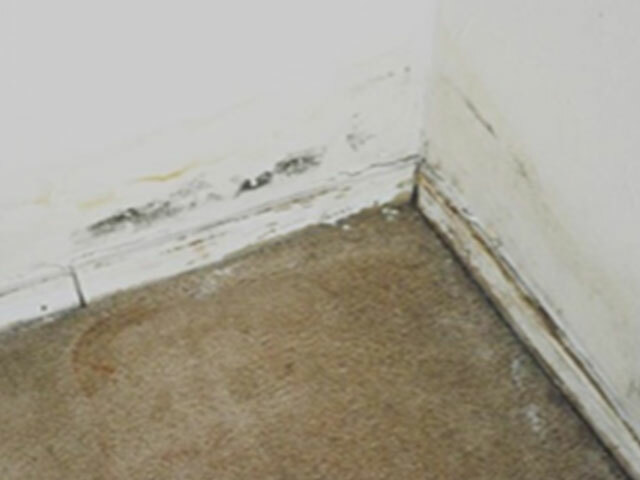 Mold thrives in warm, damp places. Dust, darkness and stagnant air can accelerate its growth. In fact, when conditions of temperature and humidity are just right, mold can form in as little as 24 hours. South Florida summer conditions are optimal for mold. The season’s temperature averages above 70 degrees Fahrenheit or 21 degrees Celsius, and the average dew point temperature range is from the high 60’s to low 70’s Fahrenheit (20 – 23 Celsius). These factors contribute to making South Florida the most humid state in the country. Mold spreads by producing invisible spores that float freely through the air. When they come in contact with moisture, they begin to grow and continue the invasive cycle. Controlling your home’s temperature and humidity, is essential to prevent mold growth. Another important fact to understand is that mold is resilient. It can lie dormant for long periods of time and can actually regenerate if sufficient moisture returns. Once mold is discovered in your home, removing its source of moisture is necessary to stop its growth but it may not be sufficient to eliminate it completely. In some cases, additional steps may be required to have mold finally removed. One of the main causes of high moisture levels in the home is water that leaks from the roof, walls, pipes, faucets, showers, etc. These must be detected early and repaired immediately to prevent further damage. Control Humidity in the home to levels between 30 – 60%. Another frequent cause of moisture is condensation which forms on cold surfaces such as metal pipes, concrete walls, windows, water tanks, etc. when water vapor in the air cools and becomes liquid. The best way to naturally reduce humidity and condensation in your home is to periodically open windows during the hottest part of the summer day when humidity outside the home is the lowest. Of course, this option is less viable for the absentee homeowner. Dehumidifiers are not recommended for use in a vacant home because they must be periodically emptied of the water they collect. Install a humidistat to activate the air conditioner when humidity levels creep into the range where mold formation could occur. Most homes do not have a humidistat to separately measure humidity. Therefore, maintaining a constant temperature range using air conditioning is recommended to cool and circulate the air while reducing condensation. Improve air flow in your home by moving furniture away from the walls and opening interior doors, including closet doors. Approximately 80% of mold grows on dust. This is evident by the fact that mold, which does not naturally grow on surfaces like plastic, metal or glass, can appear on these surfaces when they are covered with a layer of dust or dirt. Remove food and organic materials on which mold can feast. Dust and vacuum regularly to reduce dirt on which mold can live. Clean gutters and have them inspected for damage. Repair as needed. Keep an eye out for water stains after storms that may indicate a leak. A mold problem might be a simple matter of a roof that is leaking because of full or damaged gutters. Clean AC filters. If AC filters or drain become clogged, they slow down air flow and won’t be as efficient in reducing humidity. Hiring a professional service like G-Man Home Watch is the best way to ease your burden. A Home Watch company can save you a lot of time, money and aggravation by serving as your eyes and ears to monitor conditions that can promote mold growth in your home. G-Man Home Watch is insured and bonded, as well as accredited by the National Home Watch Association. G-Man Home Watch offers discreet, dependable, and documented, services at affordable rates. Let G-Man Home Watch be your Most Trusted Neighbor to serve as your advocate and protect your piece of paradise from damage and unforeseen events. To learn more, call today at 941-914- 9104 or email us at info@gmanhomewatch.com for a free in-home consultation.